The MV Eugene Elson of Penafrancia Shipping Corporation of Bicol is one of the oldest ROPAXes (Roll-On, Roll-Off Passenger ship) still sailing in Philippine waters but she is still very reliable and well-appreciated. As a 1965-built ROPAX from Japan she has the looks and lines of the small ROPAX of that era which means she is a little chubby in looks and not that angular like the MV Melrivic Seven of Aznar Shipping which was also built in 1965. However, those looks do not detract from her primary purpose and mission which is to ferry passengers and rolling cargo (i.e. vehicles) safely and reliably. This ship’s usual route is Tabaco, Albay to Virac, the capital and main port of the small island-province of Catanduanes. Tabaco City is the gateway to the province and the size of MV Eugene Elson is just right for that route as there are almost no ferries that is 50 meters in length there (except when there rotations due to drydocking). And also there are no 30-meter ferries in that route out of respect for the waves in the sea between the two provinces and besides single-engine ferries are not liked there, for safety and maneuvering reasons. So the MV Eugene Elson with its two engines and screws fits the bill well there too. The MV Eugene Elson is a RORO ferry built by Hashihama Zosen of namesake city Hashihama in Japan where their yard is located. As said earlier, she was built in 1965 but her IMO Number is already 6601517 (in those days the first two digits of the IMO Number indicate the year the ship was built but that is not the case anymore nowadays). She was completed in December of 1965 and completion date is the date when the ship is already equipped and ready to sail. Her external measurements are 41.7 meters in Length Over-all (LOA), a Registered Length (RL) of 38.5 meters and a Length Between Perpendiculars (LPP) of 37.5 meters. The ferry’s Breadth is 14.6 meters locally although in Japan it was only 12.5 meters (the first one might be the more accurate one). Her Depth is 3.0 meters. As a whole she is not a big ship and a ship that is only a little larger than a basic, short-distance ferry-RORO (by the Philippines Ship Spotters Society definition) which in general is only 30 meters or so in length and sometimes even shorter. In Japan, her Gross Tonnage (GT) was 526 (tons is no longer affixed in GT) but locally it was only 488. Her declared Net Tonnage (NT) which is the usable space of the ship for passengers and cargo is 118 which is rather suspiciously low. The ship’s Deadweight Tonnage (DWT) is 138 tons and she has a passenger capacity of 484 persons, all in sitting accommodations. The MV Eugene Elson is actually the smallest ferry in the fleet of the Penafrancia Shipping Corporation (PSC) which was the successor company to the defunct Bicolandia Shipping Lines which used to own her. However small, this ferry still has two passenger decks with an airconditioned Mabuhay Class. The ship’s hull material is steel. She has one mast, two funnels and two RORO (Roll-on, Roll-off) ramps for ingress and egress of vehicles but the bow ramp is also the one used by the passengers for the same purpose as ferries in Bicol do not have separate passenger ramps (the stern ramp of this ship seems to have been welded shut already). The bow ramp of this ship is extended to better cope with low tide conditions. This ferry has a raked stem (which was what was usual in the era) and a transom stern (which is still what is common nowadays). The MV Eugene Elson is powered by two Daihatsu marine engines with a total output of 1,100 horsepower. This is sufficient to propel her at 11.5 knots when new but nowadays she just chugs along at about 10 knots, the reason she takes four hours for her route which is less than 40 nautical miles. That is not a shame as most ferries in the route have about the same sailing time although some are faster than her. Our group, the Philippine Ship Spotters Society (PSSS) is familiar with this ship as once the group has already toured her when she was drydocked in Nagasaka Shipyard in Tayud, Cebu and the master then, Captain Jun Benavides was gracious and hospitable enough to let us roam his ship and use her as a ship spotting platform (yes, passengers can reach the roof of this ship which is also the Bridge deck). Of course, he had also shared plenty of stories to us. We whiled our time there savoring the cooling breeze of the late afternoon until it was time to go for daylight was soon dimming. This ship, when newly-built was first named as the MV Shimotsui Maru of the Kansai Kisen K.K. of Japan In 1976, under the same name, she was transferred to Kansai Kyuko Ferry K.K. Then in 1984, before her 20th year (the time Japan begins replacing its old ferries), this ferry came to the Philippines as the MV San Agustin of May-Nilad Shipping, a Manila ferry company that was always short in routes. Later, she became the MV Eugenia of Esteban Lul. After a short time, this ship was transferred to Eugenia Tabinas of E. Tabinas Enterprises under the same name MV Eugenia. I just wonder about the relationship of Eugenia Tabinas and Esteban Lul. E. Tabinas Enterprises and Bicolandia Shipping Lines which are synonymous and the same is headquartered in Tabaco, Albay. These dual companies took over the ships and operations of the pioneering Trans-Bicol Shipping Lines which was then just operating wooden motor boats or MBs then which otherwise were called as lancha in the region. During its heyday, E. Tabinas Enterprises/Bicolandia Shipping Lines was the dominant Bicol shipping company and had routes from all the relevant Bicol gateways, i.e. Tabaco, Matnog and Bulan (which are both in the province of Sorsogon and Masbate. However, in 1999 a new shipping company with deeper pockets appeared in the critical Matnog-Allen, Samar route. This is the Sta. Clara Shipping Corporation (SCSC) which challenged the claimed “pioneer” status of Eugenia Tabinas’ shipping companies. “Pioneer status” supposedly confers exclusivity to a route. Eugenia Tabinas and Sta. Clara Shipping Corporation fought initially from MARINA (Maritime Industry Authority), the Philippines’ regulatory agency in shipping and then all the way to the Supreme Court. When Eugenia Tabinas finally lost she offered a lock, stock and barrel sell-out to her enemy which was accepted and so she forever bowed out of shipping. This was the reason why MV Eugenia was transferred not to Sta. Clara Shipping Corporation but to the Penafrancia Shipping Corporation which was created specifically for the take-over of E. Tabinas Enterprises and Bicolandia Shipping Lines. This take-over and hand-off happened in 2006 and from then on the twin companies Sta. Clara Shipping Corporation and Penafrancia Shipping Corporation were already the dominant shipping companies in Bicol (and until now). Under Penafrancia Shipping Corporation, all the former ferries of Eugenia Tabinas were renamed (except for the sunk MV Northern Samar) and so the MV Eugenia became the MV Eugene Elson. In the fleet of Sta. Clara Shipping Corporation and Penafrancia Shipping Corporation which has combined operations, she is the smallest in terms of Gross Tonnage and Length. But she is not the smallest ever ROPAX to operate in Bicol as there were and are a few that are even smaller than her. As mentioned before, the Tabaco-Virac route along Lagonoy Gulf is her main route now, a route known for rough seas during the amihan (northeast monsoon) season as that route is exposed to the open sea. But even though small, she proved capable for that route although once a bus lain to her side even though lashed from the top when a rogue wave hit her in the bow. In the said route she would leave Tabaco port at daybreak and arrive in Virac at mid-morning. She would then depart Virac port after lunch and arrive in Tabaco at about 5pm and lay over in Tabaco port for the night. It is the buses’ schedules that dictate such departure times and buses and its passengers are the priority loads of the MV Eugene Elson like the other ROPAXes based in Tabaco. Nowadays, she always leave full as so many buses and trucks already cross to Catanduanes from the Bicol peninsula. All in all, the MV Eugene Elson had a successful career and it seems she is destined for many more years of sailing (well, unless MARINA loses its mind and cull old ships as that has been their threat for many years already). Barring that scenario, I hope she still sails and sails and sails. And keep the record as the oldest sailing ferry in Bicol. 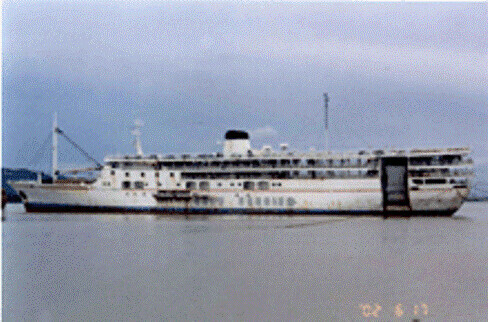 Another MARINA (Maritime Industry Authority, the Philippines regulatory body on shipping) administration has passed, that of Marcial Quirico Amaro III which to think was a rarity because he was a true mariner (can we call his predecessor Maximo A. Mejia a mariner too because he was a graduate of Annapolis and he taught at the World Maritime University in Sweden?). When a mariner is appointed Administrator of MARINA the hopes of the mariners goes high because for a long time they have seen their sector ruled by lawyers (well, if they look at the regional heads of MARINA they will find out there are more lawyers there). The maritime field is actually a rarity since the professionals of the trade don’t rule their roost. In the field of Medicine the head of the field are not lawyers but are doctors, of course. That is also true for other fields where professionals of their trade are the heads like in Engineering, Pharmacy, Nursing, Education, Accountancy, etc. But not in the maritime field. It seems there is an assumption that the development and regulation of the field are best left to lawyers who probably don’t know anything about running a ship? Of course, they will promote our mariners as “heroes” after conquering the maritime sector. But I know enough of the field to know that mariners, in the main, seethe against MARINA, for various reasons, and that is not a bull. Me, however, shudder when a new administration is about to take place in MARINA because I have noticed all these years that when a new Administrator takes seat the first word that will come out of his mouth is “Safety”, as if that is what the field needs most, as if that is the key word that will develop the sector (no, that is not). And with that will come the threat to the lives of our old ships especially the old ferries. Threats of phase-out will soon then follow, as usual. And again the owners will resist, for reason. That is the usual rigmarole for every MARINA administration that will come in. And I would heave a sigh of relief when our old ferries continue sailing despite the threat to sink them. A new administration will again come this April (2008) and I wonder if the script will be the same again or if it will different this time. And for the first time, the new head of MARINA will be a retired general, and a 4-star one at that, someone used to barking orders and be followed (what are generals for anyway?). I wonder if any MARINA administration ever did a serious, scholarly study by those who really know the field on what the sector needs. It seems to me that all these years a new Administrator will simply stamp his own agenda and understanding no matter how faulty that is (anybody remember Maria Elena Bautista, another lawyer who was threatened with a shipping boycott by all the shipping organizations, the reason she was booted out?). Actually, I know of no serious study about our maritime sector and a blueprint coming out of that especially one that has the universal support of all the players in the industry from the owners to the shipyards down to the mariners. And even with that MARINA thinks they know best what is good for the industry. Scientific, eh? As I understand it, the function of MARINA is not only regulation of the maritime sector but also the development of it and the latter might even be the more important. Can regulation be defined by just one word which is “Safety” as Administrators are wont to do? Definitely not. Can the word “Safety” be the key word in the development of the industry? Well, development is a multi-faceted thing. I know MARINA has consultations with the likes of the shipping owners and organizations and also the shipyard owners but I also know that consistent or meaningful government support is seldom discussed in those consultations. Hanjin, the foreign shipbuilder in Subic will have all the support including cheap electricity subsidized by the government. But that is one that will never be offered to local shipbuilders. There is now, however, a loan window for acquiring new ships. But a lot of shipping owners are hesitant in acquiring new ships because of the high acquisition cost. It might be a loan but it must still be fully paid for with interest to boot. They will always think that three or four surplus ships are better than a brand-new one no matter what the promoters of new ships will say about the savings in fuel, the supposed better safety, the issue of less pollution, etc. What muddles the discussion is the presumption that old ships are not safe. The ship owners countered in one consultation when they had their lawyers, “Is there a study that proves that age is the factor for the sinking of the ships?” MARINA was not able to answer that. I know they have no such study. I also know they have no database on ship losses so how can they honestly answer it? A presumption is not always the truth. It needs to be proven. But the public in our country has long been cooked in the wrong belief that old ships are not safe. They compare it to an old truck or bus that can lose its brakes and crash or collide. But that is not the mechanism in the sea. There are no brakes and even if a ship loses propulsion it is still the equivalent of a barge and barges can sail even for long distances as it still has flotation (which determines it will still float) and stability (which determines it will not capsize). There will a threat to a ship that loses propulsion (or steering) if the sea is rough like if there is a storm. But now with all the changes in the rules for sailing when there is a storm all our ships are treated like a motor banca and so the old prohibition for their sailing in winds over 45 kilometers per hour is now applied on all our ships including our big liners like the SuperFerry vessels. Well, the Coast Guard even has the right to cancel trips in a particular area if they think the sea is rough which means the swell is already a half-a-foot high. And for good measure to further frighten everybody if there is a storm the weather agency PAGASA which is better called Walang Pagasa will forecast waves of one to four meters when they actually mean waves of only one to four feet max. Ask fishermen and coastal people if there are really waves as high as four meters and they will say they have not seen one in their lives. Now just compare it to the storm surge of six meters in Typhoon “Yolanda” and one can see that forecast of four meters is foolishness. If true, four meters can still completely inundate a small city or a town and we don’t hear such things. So, if at the slightest rising of the swells and the winds our ships are already forbidden from sailing (when foreign ships in our waters still continue to sail) then how can the our old ships be unsafe when they are not sailing anyway? Of course they can still sink if the typhoon passes over them like what happened in Typhoon “Nina” last December 2016. Worst case of that probably is when Typhoon “Ruping” passed over Cebu in 1990 and a lot of ships went belly up. In non-sailing ships the typhoon won’t ask about the age of the ship. It can capsize, new or not. When the country became alarmist and began suspending trips because of PAGASA forecasts that cannot be parsed for a specific area (and that means suspension even when the sun is shining) our ship safety record actually improved and I can prove that with my own database of ship hull losses. There will no more be Princess of the Stars, Princess of the Orient, Dona Marilyn incidents, etc. Actually, the new generation of ship passengers will no longer have the experience of sailing with a ship in a storm. That experience will just be the domain of the middle-aged and the oldies. The country is too skittish now about ship accidents when in other countries that is considered part and parcel of sailing. If one reads maritime news abroad one can easily glean that there are ship accidents daily around the world and many of those are even relatively new ships of less than fifteen years of age. One reason probably is they sail in almost any kind of weather unlike here. There are collisions too (that does not happen here at least in the recent decades). Fire, too (but again that did not happen here in the recent decades). Yes, our ships though old are the safe, empirically. That is why abroad they stress SOLAS (Safety of Life at Sea). Here, many ships do not care so much about that but it does not matter much anyway. If there is a collision or fire the crew will probably just dive into the sea and swim for after all there will be near islands or fishermen (which is always first in the scene of an accident). It could be possibly bad news, however, if it is a ferry as their crew is now dominated by apprentices who paid to get aboard rather than the other way around. And so I would not be surprised if they save their hide first. Ditto for the true ship crew which are poorly paid. But for sure there will be heroes and the conscientious too. There will always be such kind of people and they will always have my respect and admiration. Actually, many of our ships will not pass a serious ship inspection like what is done abroad. It is not only the factor of age. We are simply that lax and ship owners don’t budget well in many cases. The letterings might say “Safety First” but it is actually “Safety Second” or “Sadety Also”. We have that “Bahala Na” attitude which is the equivalent in Spanish of “Que Sera, Sera” (Whatever will be, will be) which is a certain kind of fatalism. But whatever, if we pro rata it our safety is not worse compared to other countries especially when the 45kph suspension rule was already in effect (it was even effective when it was still 60kph). We only got a bad repute because of “Dona Paz” which was affirmed by the capsizing of the “Princess of the Stars”. But that won’t be repeated anymore as we don’t have Sulpicio Lines any longer. Now, back to the more serious thing, I wonder what a 4-star general will hold for our maritime sector. Will he plug the board “leakages” which has been there for eons already? Will he listen to the mariners (or will he even recruit mariners in MARINA or will he be just another Faeldon who will pack in the bureau with his own people?). Can he get the respect of the ship and shipyard owners and will he have answers to their questions and concerns? Or will he be just another overlord of the sector and worse another one spouting the mantra, “Safety…safety…safety…safety….” like a Tibetan monk. 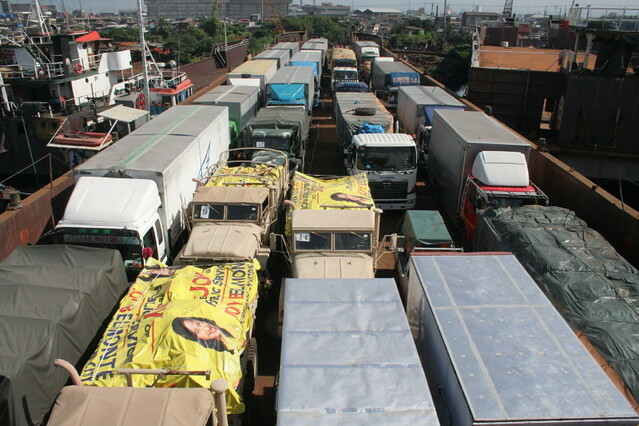 Just after Super-typhoon “Yolanda” in 2013, long lines of trucks formed in the Surigao Strait crossings connecting Leyte and Mindanao when the relief and reconstruction efforts were in full swing. I thought it was just a temporary phenomenon brought about by the typhoon destruction but the truck queues persisted after that (but the buses were not affected by that in the main because bearing passengers they always have the highest priority in boarding short-distance ROROs). Cargo RORO LCTs requested by the government helped in transporting trucks months after the super-typhoon passed until the situation more or less returned to normal. But further developments showed there was really increased vehicle traffic already in the Liloan-Lipata and Benit-Lipata parallel routes that connect Leyte and Mindanao. So in the recent years the Surigao Strait saw more short-distance ferry-ROROs sailing the north-south direction. These included new players plus a dedicated Cargo RORO LCT plying the route and carrying trucks. With such there is a palpable increase in the sailing frequencies between Leyte and Surigao. The once-oldest ferries in the route, the Maharlika ferries are now gone after the sinking in 2013 of its Maharlika Dos off the southwest tip of Panaon island when its engines conked out and she was swamped by waves when no help came after she drifted for hours. Archipelago Philippine Ferries, the owners of the Maharlika series then stopped operations until they were able to bring their new catamaran-ROROs which are part of the FastCat series. Now these new type of ROPAXes (RORO-Passenger ships) hold different time slots. Even with just a single ferry which is currently the FastCat M7, it can do three round trips in a day with its superior speed (17 knots) and favorable passenger and shipper response. The FastCat is gaining popularity in the route by offering the same rates but employing a brand-new craft with the best passenger service in the short-distance routes together with the legendary 2GO liners. They are practically the horse to beat there now from being derided in the past because of the lousiness of their Maharlika series. FastCat still uses the Liloan-Lipata route even though Lipata port was damaged by an earthquake in 2016 which forced other ships to use the other port of Surigao City which is Verano port. This is the port that caters before to the passenger ships from Cebu (there are no more liners from Manila) and freighters plus different crafts to Dinagat, Siargao and various small islands off the Surigao mainland. Giving them stiff competition because it enjoys a short route are the ferries of Montenegro Shipping Lines Inc. (MSLI) which uses the Benit port exclusively to sail the Benit-Surigao route. Normally, this shipping company deploys two big short-distance ferry-ROROs in the route and these are usually the sister ships Maria Felisa and Maria Vanessa. The Benit-Surigao route is only a little over a third of the Liloan-Lipata route but the MSLI rates are only a little less than Liloan-Lipata rates and so MSLI enjoys greater profitability than competition and I wonder why MARINA allows the shipping company to prey on the passengers and vehicle owners when I thought they are the maritime regulatory agency (and they are regulating what and are they for the shipping owners or for the passengers and shippers?). A newcomer on the route is the Southwest Premier Ferries which is using a brand-new ferry, the SWM Stella del Mar which is a sister ship of the new vessels of Starlite Ferries of Batangas. This company promised several trips in a day but I wonder how they can live up to that if they don’t have enough rolling cargo as many of the vehicles there are already locked to their competitors (well, they can offer discounting to attract the clientele of competition). Southwest Premier Ferries is just a few months on the route. A Bicol shipping company has also invaded the route, the Sta. Clara Shipping Corp. which rotates some of their bigger ships in the route and sometimes it uses a ferry of its legal-fiction company Penafrancia Shipping Corp. As of the time of this writing they are using the ship King Frederick but with two ferries from Japan being refitted right now in Nagasaka Shipyard in Tayud, Cebu, it is probable that one of the two might be assigned to their Liloan-Surigao route to better handle the challenge of the new ferries in the route. Another old shipping company still plying the route through Liloan and Surigao is the Millennium Shipping Inc. which uses its old and slow Millennium Uno, a ferry with over half a century of sailing experience. 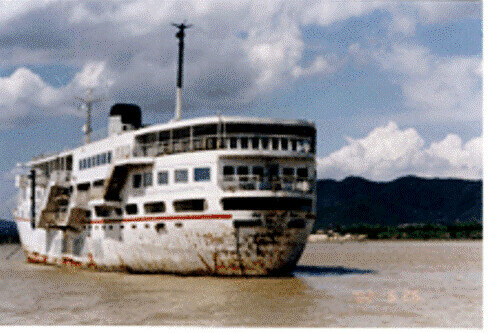 At several times in the past this ferry was thought by observers to be already gone only to rise again like a phoenix and one of the recent episode was when they voluntarily stopped sailing after the hot eyes that came with the sinking of the Maharlika Dos (she has her own deficiencies after all). When the ruckus died down the ship quietly went back to sailing with some cosmetic changes and engine improvements so that from 4 hours plus she can now sail the 38-nautical mile distance in a little over 3.5 hours. Added to that mix of ships is a Cargo RORO LCT, the GT Express I of GT Express Shipping which was once connecting Negros and Panay islands through the Banago-Dumangas route. This LCT actually uses the Liloan municipal port which once had overnight ships to Cebu and not the Liloan Ferry Terminal. The two ports are just a kilometer apart in a very small bay. As a Cargo RORO LCT, the GT Express 1 can only take in trucks. One shipping company that is gone now in the route is Asian Marine Transport Corporation (AMTC) which stopped their sailing when they found themselves lacking ferries because of mechanical failures on their other ferries. It is a loss and a perplexity because they fielded in the route the first decent ferry when all that was available 15 years ago were the lousy Maharlika and Millennium ferries. I don’t think they will come back in the route because they still lack short-distance ferry-ROROs. So right now 6 different ROROs ply the routes across Surigao Strait from 5 different shipping companies and total of about a dozen voyages in a day with a capacity for over 200 assorted vehicles each way excluding motorcycles plus a passenger capacity of more than 4,000. Such is the available capacity now on the route which is a far cry from that of a decade ago when shut-outs happen. One reason from the increased demand in the route is Surigao Strait became a favorite crossing point of vehicles to or from Cebu of vehicles not only from CARAGA Region but also from Southern Mindanao as Northern Mindanao is not a viable entry for the rates there are very high. This is aside from the fact that that strait is the old crossing point of buses and trucks coming from Luzon and going to Mindanao. The competition in the route might be heating up for now with some threatened over-capacity but in a few years, with the growth in traffic being shown by the route then maybe more ships and frequencies will again be needed. Actually there is a report that a new port will be built in San Ricardo east of Benit and it will be connected to the eastern coastal road being built in Panaon island that will bypass the mountain pass called “The Saddle” which gives some trucks problems because of the inexperience now of drivers in mountain passes. Maybe by then there will also be more routes across Surigao Strait in the future. More is merrier and normally that redounds to the benefit of the passengers and shippers if only MARINA will do its job. Let us see it then. For the past five years or so, I often notice that some people with vested interest in shipping always raise the issue of the age of our ferries imputing that our old ferries are not safe. That include their friends who parrot their line but actually have no knowledge whatsoever of local shipping. One thing they have in common is their lack of objectivity and empirical knowledge of our shipping. They are the type of bashers of our shipping who will pass on lies to “justify” their position. The bad thing is they have access to media which will simply broadcast what they say or worse simply reprints “praise releases”. And the baddest is millions of people who have no knowledge of shipping are fooled by them. 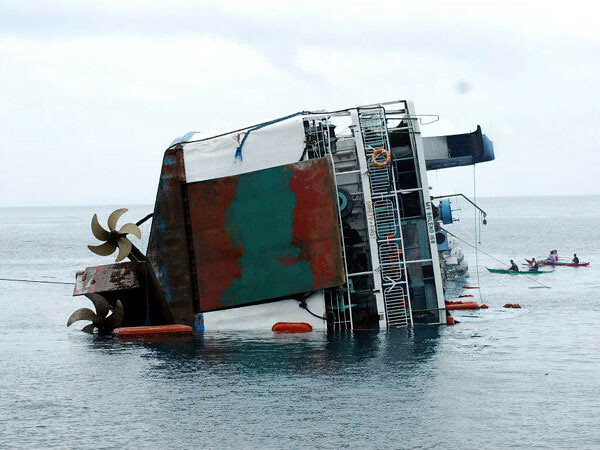 MARINA (the regulatory agency Maritime Industry Authority) itself in a very recent consultation with shipping company and shipyard owners admitted they have no study linking maritime accidents to the age of ships. I am not surprised here because I know MARINA has no database of our shipping losses and accidents. I guess even if they study the findings of Board of Marine Inquiry (BMI) proceedings on maritime accidents, they will be hard put to correlate the accidents to the age of ships because the BMI generally proceeds with facts on records and most conclusions point to human or navigation error. 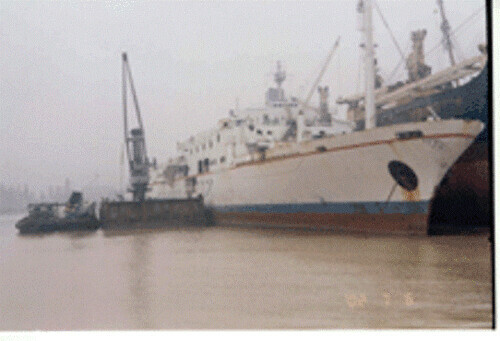 For the last 30 years from 1986 when radar was already generally available and weather forecasting was already better, capsizing/foundering/sinking composed about 45% of the cases of ship losses while fire and explosion composed 40% of the cases and the remaining 15% were due to beaching/grounding that resulted in CTL. In the sample, the motor bancas and small motor boats were excluded but batels and Moro boats are included. But if they are included it can be easily seen that most of them were lost in bad weather and few of them are over 20 years old (wooden-hulled crafts don’t last long anyway) and so it is hard to connect their loss to age. In capsizing/foundering/sinking, most of them can be connected to the prevalent bad weather or storm. Such cases of losses are also hard to connect to the age of the ship especially since with hull scanners replacing the hammer in testing the hull integrity of the ships few sink now because the ship developed a hole while sailing. Well, capsizing/foundering/sinking is even easier to connect to the hardheadedness of their captains and owners. Their only connection to age is captains and shipping owners are generally old, pun intended. In fire and explosion, the age of the ships can be suspected to be a factor. But so do simple lack of maintenance and lack of firefighting capabilities. A relatively new ship with poor maintenance will be mechanically old especially if parts are not replaced. An old ship with replacement engines and bridge equipment is mechanically newer like Mabuhay 3 that although built in 1977 was modernized in Singapore when she was lengthened. Understand too that some of the fires happened in the shipyard or while undergoing afloat ship repair (ASR). Fire is a risk while doing hot works like welding in a shipyard and many times this was what caused the fire and not the age of the ship. In beaching and grounding, this is almost the province of bad weather and bad seamanship and navigation. The only connection to age here is when the navigator used old and obsolete nautical charts, pun intended again. The age of the ship practically has no connection to this unless some machinery broke like in Baleno 168 when the shaft broke free. By the way, the total number of ship losses here I consider as ship losses is over 75 ferries. Not included are other types of ships like freighters, tankers, container ships, barges and tugs. But these people with vested interests and that even includes MARINA would not dwell on the actual causes of ship losses. What they just is just an administrative fiat where ships will be phased out after a certain age (30 or 35 years) irregardless of the actual condition of the ship. They cite “safety”. But what they actually want is to have the whole field for themselves because they are the ones which have new ships. They do not want fair competition. What they want is to simply banish the competition. For me, because I believe in laissez-faire competition, it should be “Let the market decide”. If they think their ferries are better then let them charge higher or with a premium (as anyway they need to amortize their ships). And see how the market reacts. That is how it is in the deregulated areas for buses. The better buses charge higher, of course, and why not? The market then decides which they want or which they can afford. Like my friend in Naga. When business is good he might take a premium Lazy Boy bus. But when business is slow, he will settle for the very common aircon bus. It should be that way in shipping too. Please no administrative fiats. It is simply not fair. If you want to argue about the age of the ships then put forward a worthy scholarly study that have gone through a panel of knowledgeable shipping persons (and please no landlubber Ph.D’s). In Youtube, there is a Captain who said most of the accidents are caused by human error. I agree fully (and please invite him to the panel which will check the scholarly study). It is just like in a car, a truck or a bus. It is not the age of the vehicle which will be cause of the collision or it falling in a ditch or running over a pedestrian. It will most likely be human error on the part of the driver (unless there was a mechanical failure which can also be attributed to poor maintenance). In 2011, I had a friendly discussion with a Japanese ship spotter who is very knowledgeable about Philippine shipping. I was dismissive of these ships having these expensive P&I (Protection and Indemnity) insurance and being classed by classification societies affiliated with IACS (International Association of Classification Societies). I asked him a conondrum to please explain to me why ferries in the eastern seaboard of the country never sank while sailing (that was true before the Maharlika Dos sank in 2014). The ferries there are old, some even have problems with their painting, none have MMSI or INMARSAT, nobody has heard of P&I and IACS and yet they do not sink since steel ferries arrived there in 1979 (a total of 22 years) while the proud SuperFerry lost the SuperFerry 3, SuperFerry 6, SuperFerry 7 and SuperFerry 14 in just a span of a few years. I was needling the guy a little since he was a big SuperFerry fan. He was speechless and can’t provide an answer. So I told him P&I and IACS might look good in Japan but here evidently it does not translate to greater safety, empirically and arguably. So then why are these people with vested insterests pushing for IACS classification when it actually means nothing here? Hell, no ship sank in the Dumaguete-Dapitan route, the Bacolod-Dumangas route, the San Bernardino routes, the routes to Catanduanes, etc. There is no IACS-classificated ships there except for the recently arrived FastCat. There is also no lost ship in Roxas-Caticlan and probably the only IACS-classed ships there are the new Starlite Ferries and FastCat. So that means an IACS classification is not really necessary. If we proceed empirically then higher classification should only be required by route and by shipping company. If a route or a shipping company has no major accident then just require them the usual local classification because it proved it was enough, isn’t it? Then require IACS or even higher classification for the likes of 2GO, Archipelago Philippine Ferries and Starlite Ferries because it had major accidents already in the past. Now isn’t that simple? Why should the curse be suffered by shipping companies which had no major accidents? Is that fair? And the irony is that those who prate safety and which called for the throw-out of old ships are those which had history of sunk ships already. The eastern seaboard with more ships than the fleet of Starlite Ferries or Archipelago Ferries only lost two ships until today and one of that was when a ferry was moored during a typhoon and therefore not sailing (the Northern Samar) and the other one was the Maharlika Dos of Archipelago Philippine Ferries. Now the fleet of one of these guys has already lost two, the Starlite Voyager and the Starlite Atlantic when his company started operations just in 1996 as they claimed. Eastern seaboard ferries have been in operation since 1979, much earlier than his. The only eastern shipboard ferry lost while sailing belongs to another loud guy with vested interest and his ship was the Maharlika Dos which sank because it wallowed for many hours without power when his Maharlika Cuatro was just nearby and failed to help until Maharlika Dos sank with loss of lives. Actually safety and seamanship are not the result of paid certificates. Just like there is no presumption one is a capable and safe driver after getting a driver’s license or a car is safe because it was registered in the Land Transportation Office or a bus is safe because it was registered in the LTFRB. Just like the Supreme Court said in a recent decision a ship is “seaworthy” (because it has seaworthiness certificates) until the moment the hull the develops a hole and sinks. Certificates actually confer nothing in the true world of Philippine shipping. In Typhoon “Ruping”, the strongest typhoon to visit Cebu in history in 1990 a lot of ships sank, capsized or were beached. The typhoon did not ask the ships their age. Ditto when Typhoon “Yolanda” struck in 2014 with the loss of many ships too all over the country. Typhoons are not selective with regards to age. Unless one will argue the anchor broke because of age. But these people with vested interest peddle lies that in Japan ships after reaching twenty years of age are retired. That is simply not true. Even the Japanese ship spotter said that. I once thought the 35-year limit proposal was a European Union standard. Not true also. They do it by actual inspection or classification of ships. If the ship has too many violations it is detained until corrections are made. It stops sailing when corrections can no longer be made or it is already too expensive to be economical and when that happens the ship is sold to the breakers or a Third World country. The process there is objective unlike the proposed arbitrary rule here to base it on age. I just cannot understand these people resorting to lies just to promote their product. I thought in the past these were subject to boycott. The problem with the Philippines is there is no Fact Check like in the USA. Here things are reduced to “batuhan ng lies”. I am just glad in our society, the PSSS (Philippine Ship Spotters Society) that has never been the rule or custom because we always stick to the facts and TO the truth. And that is the raison d’etre for this article. I do not like liars nor do I like people who wants to pull a fast one or those who try fool people or hood their eyes. The intermodal system by container ships has long been hailed as convenient and that is generally true. Goods no longer have to be brought to ports to be unloaded, reloaded, unloaded and again reloaded aboard trucks. This process is true especially in loose cargo. It might be more efficient if the goods are aboard container vans mounted on trailers. But then the trailers would have no other use while laden with container vans and there is no guarantee the container van will not lay still in the ports for days. It is different in the intermodal system by buses and trucks in terms of efficiency. When the truck leaves the factory it is already on the go and it will reach the destination faster, in general. And it can already make deliveries along the way especially if it is a wing van truck which opens on the side. So the intermodal system by buses and trucks is superior than the intermodal system by container ships in terms of flexibility and speed. On the passenger side, the passengers no longer have to hazard a ride to the North Harbor (now called stylistically as “North Port”) and haggle with porters re luggage (and haggle again in the destination). Now they can take the bus to their destination and it need not even be in Cubao, Pasay or other terminals. It can be Alabang, Turbina or somewhere along the way as many buses have designated pick-up points. It is now easy with mobile phones. And the passenger will alight right by their gate or else there is a good connecting ride and it can be a bus, a van or even a jeep. And intermodal bus rides are available daily and in many hours of the day. Whatever the convenience of the intermodal bus, what I found that what did not change is the boarding and the disembarking process in the intermodal ports. The passengers have to disembark from the bus, queue for many tickets, wait a little in the lounge before boarding, then board the ferry, disembark from the ferry, look for their bus, embark and be on the way again. It will not matter if it is midnight or if it is raining hard. A passenger must follow that routine like cattle being herded (“iyon ang patakaran, e”). Come analyze it. Isn’t that the same as cargo being loaded in North Harbor and being unloaded in a destination port? Yes, people are treated just like cargo. And “dangerous cargo” at that because “people can sabotage” and “all are potential terrorists”. Yes, that is the ISPS (International System of Port Security) which applies like law in our busier ports even if it was not passed by our Congress and we were not asked if we agree to it (well, talk about “representation”). It is just like an imposition by a foreign power. Well, that onerous procedure in ports against passengers is not surprising for me because the boss in the ports is the PPA (Philippine Ports Authority) and for too, too long they were used to bossing cargo and so they also boss people like cargo. Can’t not the various tickets queued at the port be remanded to the bus companies so it can be bought and paid for together with the bus ticket? But the problem with the Philippines is we always suspect daya, palusot and rackets. Yes, that is what we are as a people and society. We may really be too crooked a society so we suspect in anything and everything that there are crooks and crookery. As if controls cannot work. It also betrays a lack of trust in the justice (justiis) system that true crooks can be punished and also lack of trust in the bureaucrazy that crookery can be stopped. Immediately. Now, because of all those ticket requirements in the port the passengers can’t board with the bus (well, the port authorities will also say “passengers can be hidden”). So it doesn’t matter if it is raining like hell, the bus passengers will have to disembark from the bus and walk scores of meters to the ferry without any shade. It also doesn’t matter if it is midnight and the passengers are too sleepy. It is PPA rules so one has to follow it. Fiats. And that is the PPA concept of “passenger service”. And they won’t mind if it takes you 30 minutes in queue. Or if you are already old and visually-impaired and can’t find your bus after disembarking from the ferry (a common occurrence at night in Matnog port when buses are sent outside the port gates at peak hours because there is not enough back-up area). Once there was a change in Matnog port. In midnight when raining hard some hustlers will board the bus and solicit service for queuing. That means they will do the queuing. For a P12 PPA terminal fee they will accept P15 or P20 depende na sa buot kan pasahero (depending on the graciousness of the passengers). Practically all passengers wouldn’t mind the difference. Imagine the comfort of just riding the bus up to the car deck or the ramp of the ferry. Then came the bureaucratic reaction (which always implies lack of understanding). They banned it. They called those hustlers as “fixers”. Many international economic experts understand that “fixers” have a place in the bureaucratic maze. After all, many people don’t want to lose their time or be hassled. It is a willing transaction anyway. The only problem with the Matnog “hustlers”? They lack a law degree. If it were in other cases and the “fixer” is an attorney he will be greeted with far, far more respect and will not be called a “fixer”. But actually the attorney is also “fixing” things. So what is the difference? Now came another bureaucratic kneejerk. MARINA questioned buses embarking on ships with its passengers. They say it is “dangerous”. Huh! Not for the drivers? Yes, they will also willingly let you get the “rain treatment” (plus the little mud and water in your shoes). Misplaced concern, I will say. Aboard the ship MARINA wouldn’t let the passengers stay in the vehicles. The reason? There are no lifejackets in there. Yeah, really. Now, why don’t they require the ferries to have lifejackets in there? They say car deck is just for vehicles. Actually I have been aboard ferries where trucks stay with their trucks especially if it is “Stairs” Class upstairs (that means there are no more seats). I can understand the reluctance of the bus crew to have some passengers stay aboard the bus. Theft is possible and they will be the ones liable. But if it is midnight the drivers sleep with the bus and lucky is the passenger invited aboard for he can lay flat and sleep well unlike upstairs when one has to curl and contort in search of sleep, if that is possible. I have been invited aboard by drivers and I have slept atop the aluminum vans of trucks. It’s nice especially if there is carboard as mattress. Actually there is also a problem with letting passengers sleep with the bus. If it is an aircon bus and the air-conditioner is running then slowly the car deck will get full of fumes and that will seep upstairs through the stairs. Well, unless ventilation fans are installed or the bow ramp is partially lowered (which is against regulations, too). Unless it is daytime, the ordinary buses can take passengers better. But if it is full and it is daytime and the bow ramp is not partially lowered or if there is no good breeze then the bus will soon be also uncomfortable with heat. In daytime and if the route is short there is no problem staying aboard the passenger compartments of the ferry. However, if the transit time is 4-6 hours then not even a TV is enough to while away the time and rest (well, unless one was able to hunt a girl or was hunted if female). Ferry seats are notoriously less comfortable than the bus seats and there is not enough change of scenery to distract the passengers. Disembarking the passengers are also not allowed to board the buses while on the ship. Well, the car deck will be soon full of fumes if the buses wait for the passengers and sometimes the gap between vehicles is too narrow. But the problem again if it is raining hard and they require the buses to park a distance away from the ferry. It is doubly hard during the night and if there are many buses especially of the same company when the only distinguishing mark is a small number. I have always seen seniors lose their way or board a different bus. It is not unusual if a bus can’t leave for 20 minutes because they have a passenger or two “missing”. Even a veteran like me can make a mistake. I once boarded a bus wrongly. Good I saw the baggage lay-out was different and the driver does not look familiar. So I just asked him where the bus with a particular number is. They usually know. I just wish the PPA and its guards don’t require the bus to park too far away from the ship and more so when it is raining. And I also hope that near the ramps they have covered areas. That is more important than the lounges that they have. The walks should also be covered. BALWHARTECO, a private port has a covered walk. Why can’t they copy it? Does it mean BALWHARTECO cares more for the passengers than the PPA? They should also bulk up their back-up area to match the traffic. If it means reclamation then they should do it. Is the terminal fee not enough? Or are their funds diverted to construction and maintenance of “ports to nowhere” and other ports that do not have enough revenue? I think the services and facilities of the port should be commensurate to the terminal fee being raked in. I just hope that the PPA and MARINA change and look at things from the point of view of the passengers. They are not cargo, they are not cattle. Once, as we were ship spotting Pier 4, me and Vinz noticed that there seems to be a ceremony involving Cebu Ferry 1 and Cebu Ferry 3. Asking the guard who is his friend, Vinz learned it was despedida (farewell ceremonies) for the two Visayas-Mindanao ferries which will be transferred in Batangas. We learned later that the Batangas manager of 2GO said he can make the two ferries earn more there than in Cebu. That was already the era of the retreat of Cebu Ferries Corporation (CFC) when to think that in the late 1990’s they were bullying the Visayas-Mindanao ferry companies which led to the demise of some. This time around, Cebu Ferries Corporation can no longer keep with their competition. What a reversal of fortune! Vinz asked me how the two ferries will fare in Batangas. I told him it is a different ballgame there. What I meant was in Cebu it was a matter of attracting passengers and loose cargo, I told Vinz the game in the intermodal ports of Luzon (and Batangas is one) is in attracting the buses and the trucks and I told him discounting (called “rebates”) is the name of the game there (and that also includes freebies). That means whichever has the biggest discount will have the rolling cargo and for the regulars long-term agreements apply so it is not the decision of the drivers what ship to board. I told Vinz the new “Batangas Ferries” (my monicker) will have to learn the new game. The new “Batangas Ferries” plied a direct Batangas to Caticlan route compared to their competitors which ply both the Batangas-Calapan route and the Roxas-Caticlan route and let the buses and trucks roll from Calapan to Roxas in Oriental Mindoro, a distance of about 120 kilometers or so or about 3 hours of rolling time. The “Batangas Ferries” can easily sail that route as an overnight ferry because they have the speed to do it in less than 12 hours (and as overnight ferries they are already equipped with bunks). 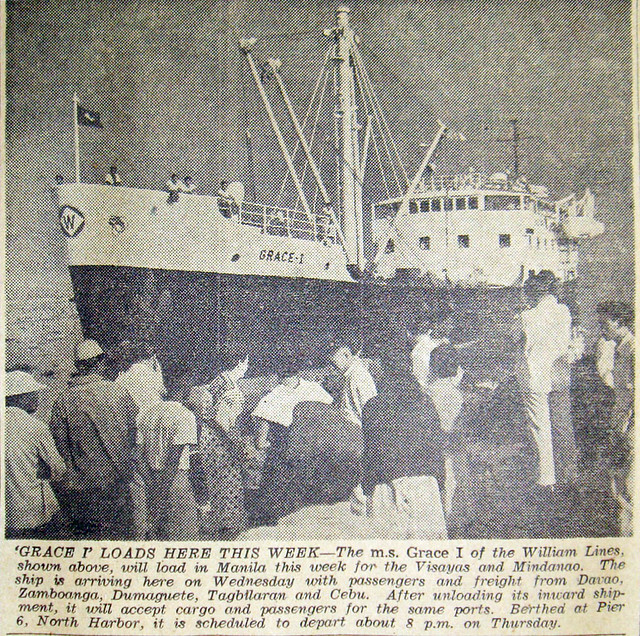 In fact, early on they tried a round trip in a day for the Batangas-Caticlan route. Then they found out they don’t have enough load because many of the buses and trucks are already tied to their competitors and there is no load yet in the early morning in Caticlan as the buses and trucks are still rolling from many parts of Panay and will still arrive at noon or in the afternoon. In reality, even the slower ferries of their competition can do a Batangas-Caticlan route should they want to do it. It will take more than 12 hours but they will still be able to sail the next night. Even at the usual 11 knots they can do that route in no more than 16 hours. Their faster ferries than can do 14 knots can do the route in about 14 hours. Their ferries will just have to become overnight ferries+ instead of being short-distance ferries. That then was the first rub. The ferries of Batangas are not used to and are even loath to operate overnight ferries. For one, they will have to convert their ferries to have bunks. That means expenses, that means lessening the passenger capacity. Now for shipping companies that are even loath to adding scantlings and were just content to have the unofficial “Stairs Class”, that is a difficult sell. Good overnight ferries also must be able to provide a restaurant and hot food. Well, nothing beats the ease and profit margins of overpriced instant noodles where the only capital is hot water. Now what if MARINA obliges them to provide free meals if the voyage time is over 12 hours like what Administrator Pacienco Balbon required then of Viva Shipping Lines? That could be disaster. Well, it seems nothing will beat requiring the rolling cargo and its passengers two ferry rides within the same night (for some that leave Manila late). They will earn twice and anyway the rolling cargo won’t go to “Batangas Ferries” because many are tied to them with discounting and rebates. And they won’t just transfer because the rates in the sea is high for the same distance and the distance of Batangas-Caticlan is high and so it is not cheap and Batangas Ferries is not used to discounting (actually, the reason they eventually lost in Visayas-Mindanao is they were the more expensive). The buses won’t go along with “Batangas Ferries” too. If they ride on a Batangas-Caticlan ferry they would have to forego the fare for 120 kilometers or so and that is not peanuts. It has long been held by the LTFRB that a bus cannot charge for the distance traveled at sea (of course, secretly they will try to do it since anyway most passengers don’t know how to compute the fare nor do they know of the number of kilometers). And they will have to pay higher for the longer sea distance crossed. Does anyone need a nail to the head? And so the buses will rather have their passengers ride two ferries at night. That connotes all the trouble of disembarking and boarding again plus the queues for the various tickets. And never mind if it is raining. In that route, that can be the definition of “passenger service”. Is there a difference between passengers and cattle? And so until now it is still just 2GO, the renamed “Batangas Ferries” which do the direct Batangas-Caticlan route. Montenegro Shipping Lines, Starlite Ferries, Archipelago Ferries Philippines, Super Shuttle Ferry (Asian Marine Transport Corporation) and Besta Shipping Lines never did that direct route. Who said they will walk the extra mile for their clients? Anyway, passengers are appreciative of the superior accommodations of the 2GO ferries. They have never seen such ferries in Batangas before (and they haven’t been to Cebu either, the home of good overnight ferries). They never ever thought that their ropaxes are actually just cattle carriers. And they have never seen a true restaurant in a ship before which the 2GO ferries have. And oh, plus true, polite passenger service (they have been too used to masahista ng bakal in T-shirts before pretending as stewards). Will Archipelago Ferries Philippines do a direct route since their catamaran ROROs are faster (theoretically they can do the route is just 10 hours but they will have to do it at daytime since they don’t have bunks)? Well, I don’t think so. I heard they are even happy with the farther Bulalacao-Caticlan route since their sister company bus rolls farther and thus earns more from fare. And that is the situation of the Batangas-Caticlan route. Now I wonder when the Panay passengers will demand for something better. Are they just content to get up at night and disembark even if it is raining and continue the trip with their heads hanging out from seats and their bodies contorted in search of sleep? The Lite Ferry 1 and Lite Ferry 2 of Lite Ferries, the Maria Helena of Montenegro Shipping Lines Inc. and the Danica Joy of Aleson Shipping Lines share one thing in common which is a common hull design making them all as sister ships. The four were built in different yards and in different years and they have different engines but they share the same superstructure too making them similar from afar though many do not realize that immediately. They also sailed at one time not far from each other and some might even have met in Dumaguete port. Among the four, it was Omogo which came first to the Philippines in 1987 from Setonaikai Kisen KK of Hiroshima, Japan to become the Danilo 1 of Danilo Lines. The Sensui Maru of the same Japan company followed in 1989 and she became the Danilo 2 of Danilo Lines. Actually, the two are among our early ferries, a product of the right bet of Danilo Lines on ROROs when they connected the ports of San Carlos and Toledo across the Tanon Strait dividing Negros and Cebu islands. 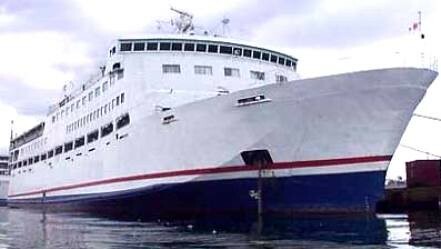 When Danilo Lines was acquired by Lite Shipping Corporation, Danilo 1 became the Lite Ferry 1 and Danilo 2 became the Lite Ferry 2. Officially, however, the two ships still belong to Danilo Lines which was not dissolved yet but everybody knows now they are under Lite Ferries and other ships of Lite Ferries periodically relieve them now in the route and sometimes the two ships are assigned other routes of Lite Ferries. The third to arrive in the country was the Danica Joy and she was one of the early ROROs of Aleson Shipping Lines when she came in 1994. The last to arrive was the Maria Helena which only came in 2004 after a stint in China with the Qingdao Ferry. 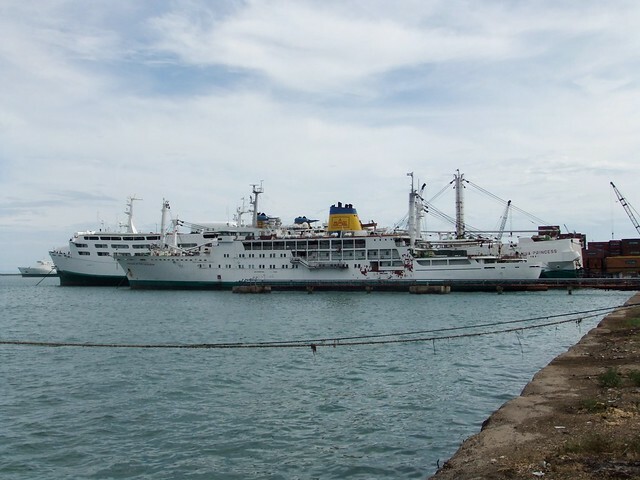 Belonging to different companies, the quartet of sister ships have different home ports, the Lite Ferries in Cebu, Danica Joy in Zamboanga and the Maria Helena in Batangas. Among the four, three were built in 1969 which are the two Lite Ferries and the Maria Helena. The Danica Joy, meanwhile was built in 1972. The Lite Ferry 1 was built by Kanda Zosensho in Kure yard, Japan. The Lite Ferry 2, though having the same owner in Japan was built by a different shipyard in the same year. She was built by Matsuura Tekko in Higashino yard, Japan. Lite Ferry 1 has the permanent ID IMO 7005530. Lite Ferry 2 has the permanent ID IMO 6926969. That means her keel was laid ahead of Lite Ferry 1. Maria Helena is also identified as IMO 7535274 and Danica Joy is IMO 7852414. I do not know why the IMO Numbers of Maria Helena and Danica Joy are out of sequence. The four are not basic, short-distance ferry-ROROs but belongs to the next class higher which are over 40 meters in length (in fact, just below 50 meters LOA). The distinguishing characteristic of the four is the rectangular box at the front or bow of the ship which serves as protection for rain, sea splash and rogue waves. The four looks rectangular from the sides. All except Danica Joy have full two passenger decks here and a single car deck (Danica Joy just have a partial second passenger deck). The car decks of the four have three lanes and four trucks or buses can be accommodated in each lane (more if it is sedans, SUVs or jeeps). Originally and until now, the four have RORO ramps at the bow and at the stern although all basically just use the stern ramp now for handling rolling cargo hence they dock stern-wise. All the four have combined bunks and seats so all can be used either as a short-distance RORO or as an overnight ship. All have an airconditioned Tourist class and the usual open-air Economy class. The size of the Tourist class varies among the four, however and so do the passenger capacity. Maria Helena has the smallest passenger capacity among the four at only 310 passengers. The gross tonnage (GT) of Maria Helena might be a little bloated at over 1,000, a pattern I noticed among ships that passed through China (if it is compared to its Japan GT). Meanwhile, the GT of the three others might be a little understated because it was practically unchanged from the Japan GT (when scantlings were added to ships). Until now, the Philippines have no true reliable GT figures (because MARINA does not know how to compute that?). The four sister ships are equipped with a pair of Daihatsu marine main engines. Three have a total of 2,000 horsepower but the Lite Ferry 2 only has a total of 1,700 horsepower making it the slowest at 13 knots when new. Lite Ferry 1 was capable of 13.5 knots when new while the two others were capable of 14 knots when new. Realistically, they are only capable now of 11-12 knots given their age and the additional metal. Some might even sail at just 10 knots given the demand of the route. The quartet all have raked bows and transom sterns. All have two masts and two funnels at the sides. However, only Lite Ferry 1 and Lite Ferry 2 have stern passenger ramps which is a trademark of Cebu overnight ferries. This design does not interfere with the car or cargo loading of the ship. This is not possible with Maria Helena because she has no full scantling. The four have no permanent assigned routes. The nearest to having a permanent route is the Danica Joy in the Dumaguete-Dapitan (Pulauan) route where she was the first short-distance RORO with bunks. Montenegro Lines always rotate their ships but for a time Maria Helena was always in the Bogo-Cataingan route. Meanwhile, Lite Ferries always rotate their ships every so few months. These four are all starting to advance in years now. However, all are still very reliable. Their metal seems to be still good too. So I don’t see them quitting anytime soon as all are still good ferries especially in the short routes, the routes that loads a dozen vehicles and a few hundred passengers. If there is anything that will kill them it will be the wrong proposal being pushed now by some quarters to retire ferries that are over 35 years in age. As if safety in ships is determined by the age of the ships when empirically it is not. Actually, it is vested interests and not just concern for safety that is fueling that push. Anyway, I hope to see this quartet continue to sail for many more years. They are still capable ferries. Note: It is possible that Ruby-1 or Ruby-2 of Alexis Shipping that plied the Batangas-Calapan route is also a sister ship of the four. But they are already missing.